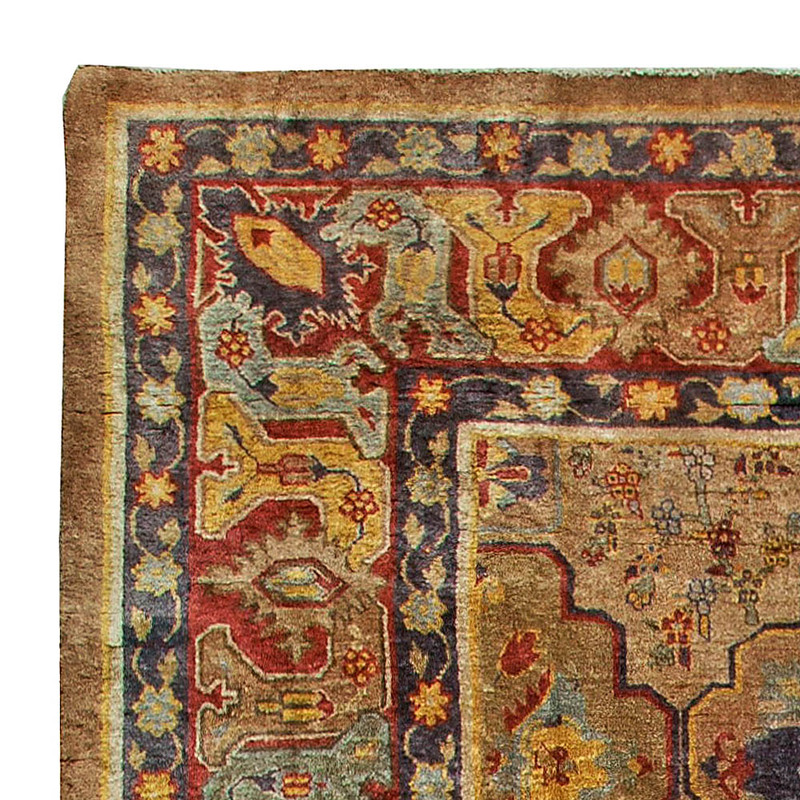 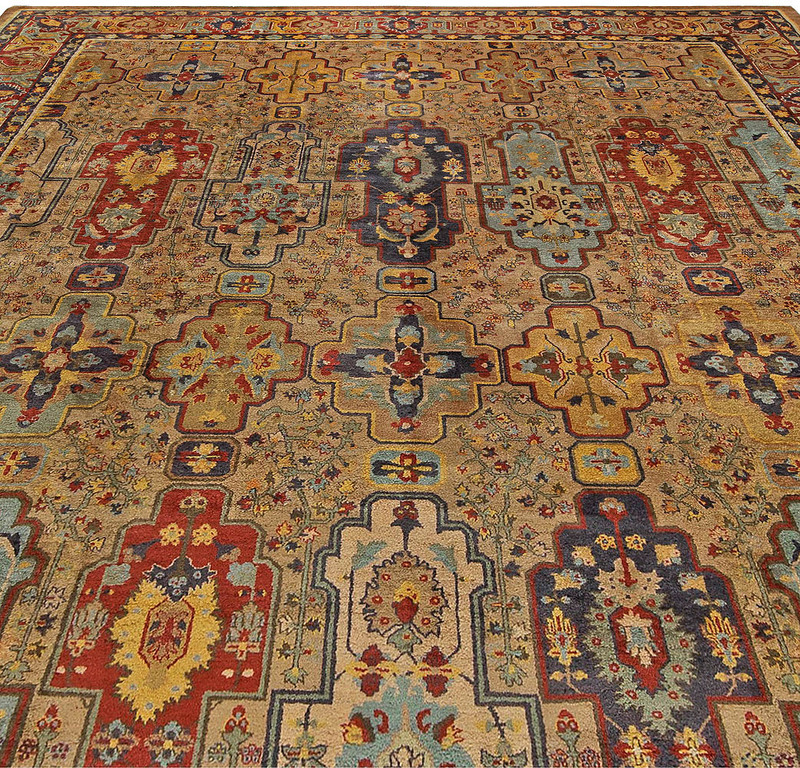 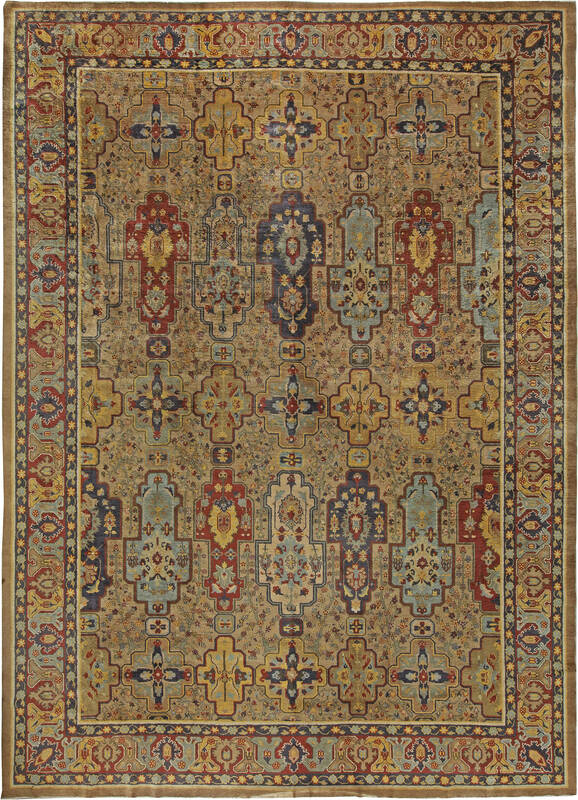 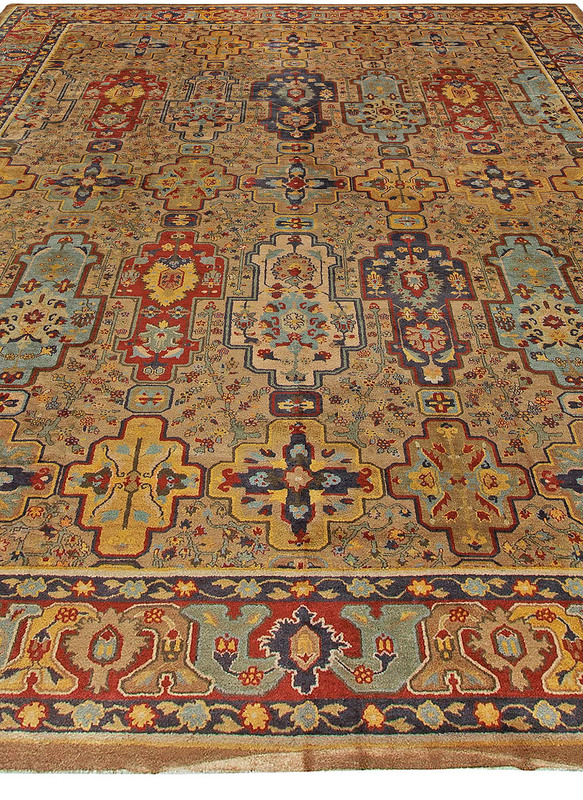 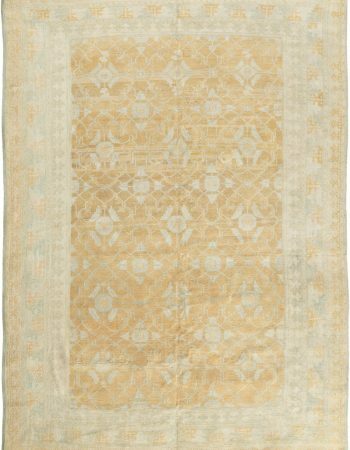 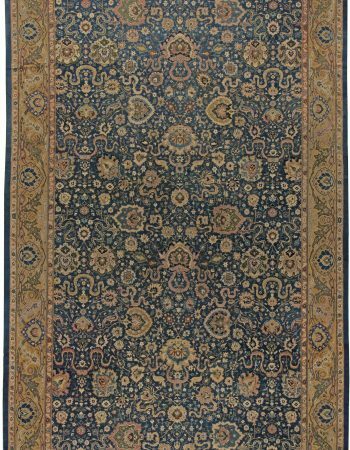 This antique Indian rug features an all-over design of bold abstract shapes in primary shades of dark and light blue, red and yellow against a floral patterned field. 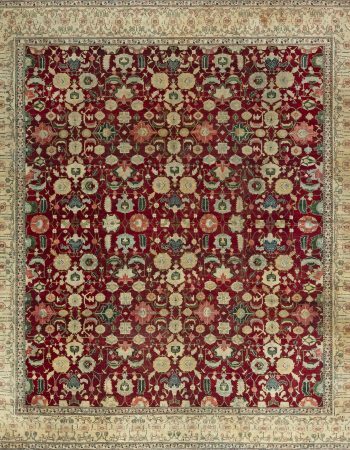 The production of antique Indian rugs and carpets dates from the Mughal period of the late 1520’s, beginning with the conquest of Northern India by Babur. Akbar the Great (1556-1605) and his successors sponsored and encouraged the weaving of splendid Indian versions of classic Persian floral, garden and hunting rugs and carpets. As an eminent patron of the arts, Jahangir (reigning from 1605-1628), possessed a deep love for the beauty of nature, influencing the artists of his court. 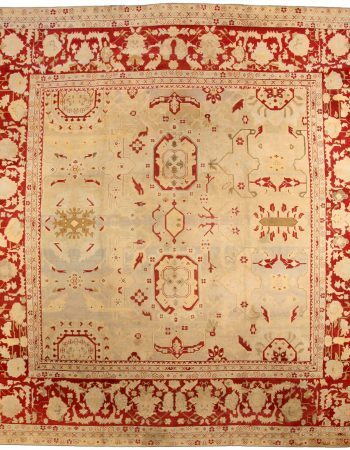 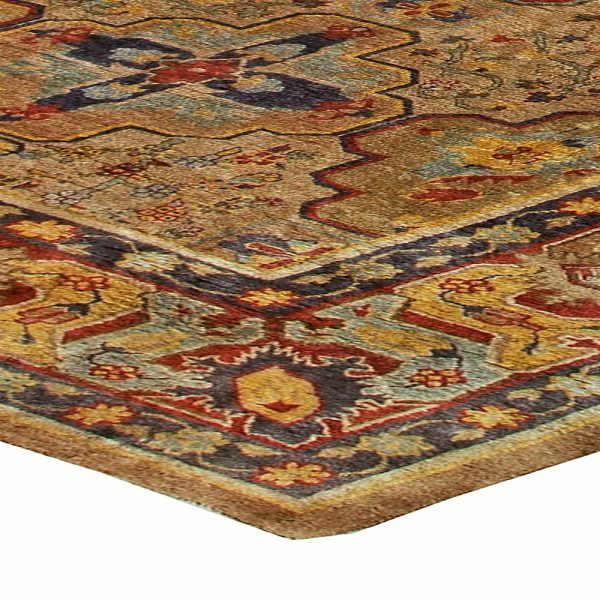 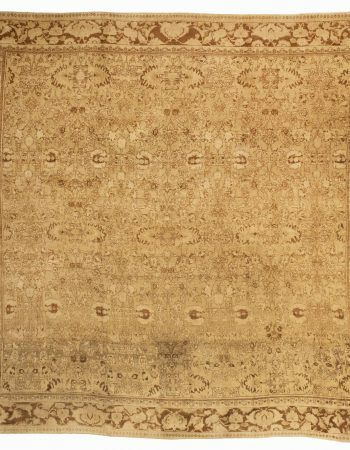 With a knotted pile of the softest pashmina wool, the antique Indian carpets originated and perfected by these weaving families have to this day rarely been equaled.